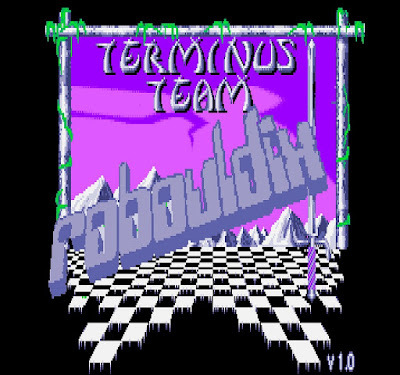 A fresh start to the week and a newly featured Amiga game to play is Robouldix. 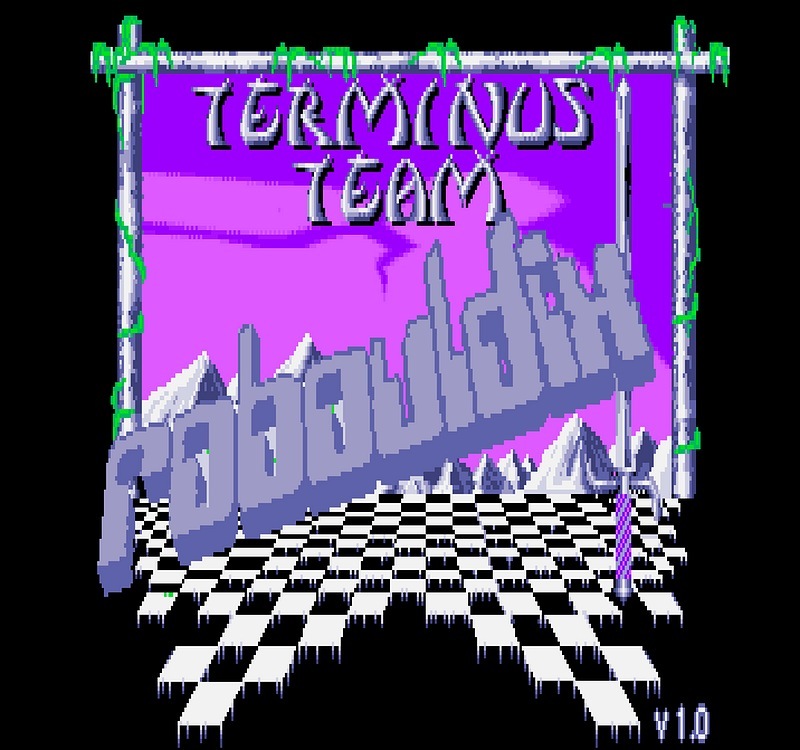 An arcade puzzle game by Terminus Team that was originally released for the Amiga in 1993 is now freely available for everyone on the internet. 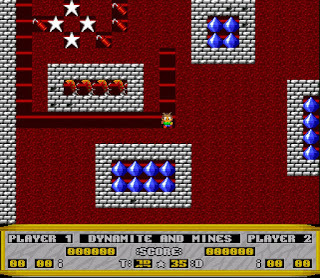 A game that was made available as a demo version with just five levels, was later fully featured as a two player game, with improved graphics and over 100 levels. As they put it " Robouldix could very well have been one of the rarest Amiga games ever. Before this, only the demo version has been available on the net. Now, 23 years later, the complete game can be downloaded and enjoyed by everyone" . If you've ever played Boulder Dash then you know what to expect in Robouldix. Dig around the level, collect the diamonds, avoid being crushed and reach the exit. 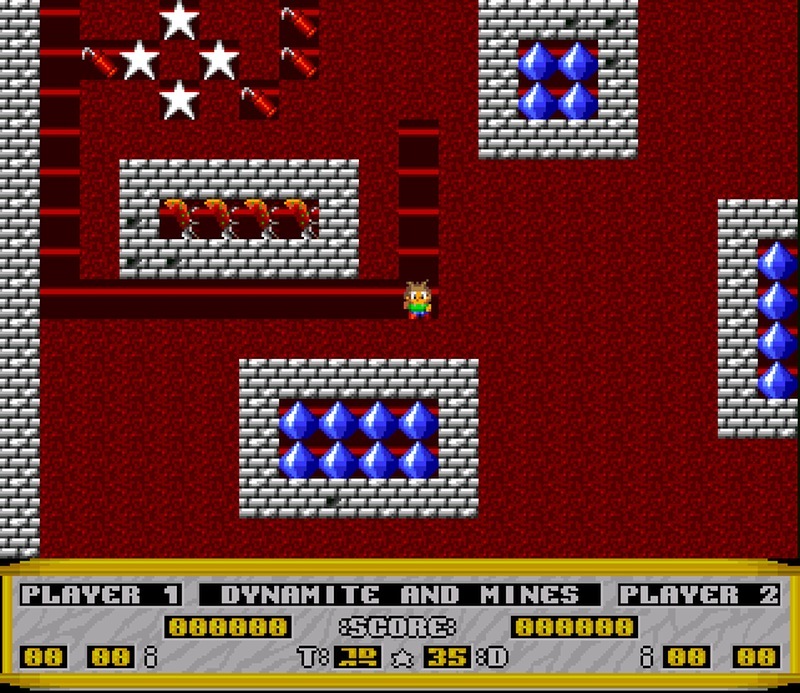 However there is a twist to this game, you can pick up dangerous dynamite which is used to blow holes in cracked walls to be able to pick up walled off diamonds. Another twist to the genre is being able to lay mines, because believe me if you end up blowing a hole in a wall with enemies within, you'll need something to kill them before they get to you. Robouldix is an enjoyable game to play with tons of levels, nice music and it really makes you think before you blow up that next stick of dynamite. Just be careful you don't end up as enemy food or squashed by anything falling from above.